If someone is looking for an island escape in the region, there's a 13-acre private island up for sale just 36 miles outside of D.C. The property, with its rich history and views of the Potomac, is listed at $15 million. See photos. 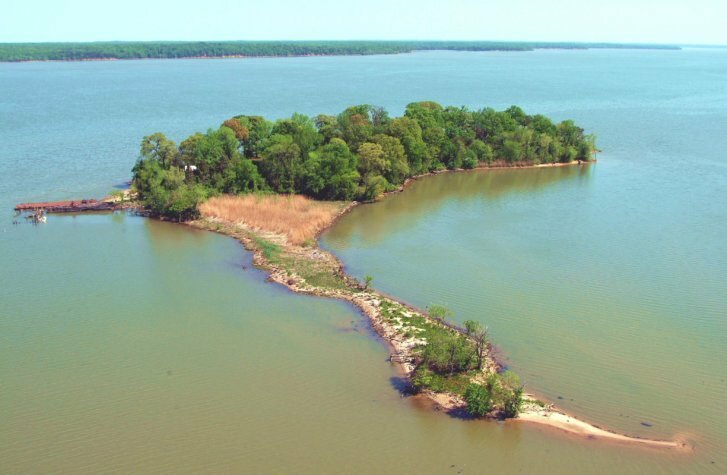 WASHINGTON — There are no palm trees or ocean breezes, but if someone is looking for an island escape in the region, there’s a 13-acre private island up for sale just 36 miles outside of D.C. Owning Chopawamsic Island, however, doesn’t come cheap: The property is listed at $15 million. Chopawamsic was once inhabited by the Piscataway people and has a very rich history, according to Nick Letendre with Weichert Reality, who is the selling agent for the property. “The history and the views are what’s going to make this island appeal to somebody,” Letendre said. Though many of the stories about the island that have been passed down are hard to verify, Letendre said it’s believed the earliest nonnative visitor was Capt. John Smith, of Pocahontas fame, in 1607. Its written history shows Giles Brent settled on the island in 1649 with his wife Kittamaquad, who was the daughter of a Piscataway tribal leader. The island is a thousand feet off the coast of Marine Corps Base Quantico, and Letendre said its next owner and visitors will have a front-row seat to seeing the president’s helicopter take off and land. In fact, use of the waters on the west side of the island is restricted because of its proximity to Quantico. “There are beautiful views of the Potomac, just about all around,” Letendre said. What can be verified is that the island also holds a special place in aviation history, as a site where Samuel Pierpont Langley conducted test flights of his aerodrome manned flying machines in the late 1800s, which took place before the Wright brothers made their mark in aviation history. According to Langley’s writings, Alexander Graham Bell was present for several of the unsuccessful test flights on Chopawamsic. “Anybody that actually purchases the island has the ability to change the island’s name, so they actually name it whatever they want, and that name ends up on the world map,” Letendre said. The island is home to several structures already, according to Letendre, which includes a pre-Civil War era home that was renovated by previous owner William Fry, who was a Navy captain and served as a doctor at the Quantico hospital, according to the Marines. The home in its current state is deemed to be unsafe. There is also a hand-dug pool Fry installed on the island. Over the years, the island was owned by a church and was also the site of a club house that, according to Letendre, was visited several times by President Theodore Roosevelt. Letendre said the island does have electricity, and is only accessible by boat. 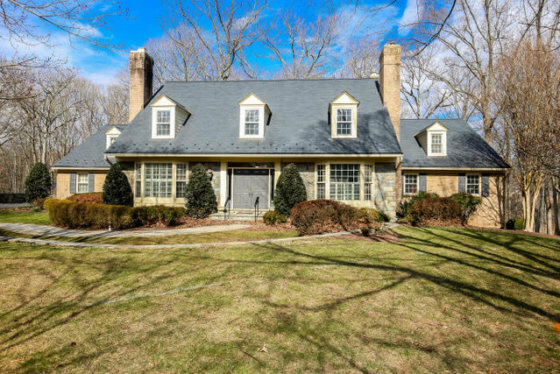 The custom-built home, which boasts some of the best views overlooking a golf course and parkland, was sold $250,000 less than the asking price.